Automatically guide international customers to the corresponding store and provide them with the appropriate currency and language. Make your Magento 2 store attractive and comfortable for shoppers all over the world to lift your business at the international level. Use reliable Magento 2 store switching solution for your store and go global to win attention of the international customers. 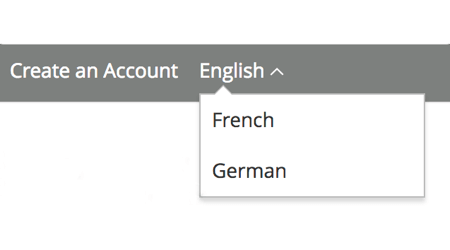 With this handy module, you will be able to easily set country-currency and country-language relations to provide visitors with better shopping experience. Store Switcher redirects visitors to the appropriate store version based on users' IP address. Map country and currency to provide shoppers with corresponding currency in the target store. 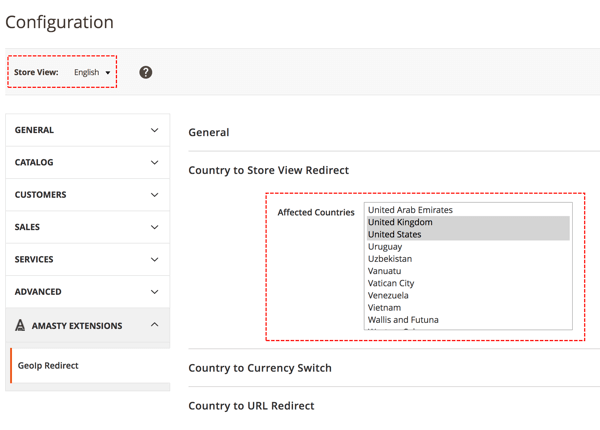 Set country to URL relation to guide international customers to the specific page. Magento 2 website switcher allows you to provide your customers with the ability to manually switch between the available store versions. Moreover, the extension lets you choose to redirect users automatically each time they visit your website or only during their first visit. In second case, shoppers can choose what store view to use. You can use the modules' ability to detect location in your favor by creating automatic redirect to particular URL. Hence, you are able to guide visitors from certain countries to the specific website pages where they can find the alternative ways to purchase from you or learn more about regional limitations in your store. In some cases you may need to keep certain URLs or pages the same for all store views. With the extension, you can specify store pages that should stay unchanged despite redirection. Also, you can define the list of IP addresses that will ignore the redirects and see your Magento 2 store as it is. Magento 2 currency switcher helps you provide customers with their local currency in your store. The extension detects location of the visitor and changes currency and prices according to ones that are actually used in the customer's country. The same geolocation technology is used to show customers the appropriate localized content in familiar language. This can be crucial for overall user experience and your chances for successful sale. Equip your products with localized information and let the module do the rest of the job. Our products are sold worldwide so we needed some tool to automatically redirect visitors to particular webstores based on their ip. We had a problem when importing Geo data at first but the supporter answered in an hour and helped us to settle everything. I have 6 store views. This module makes my store much more convenient for customers from different countries as now they get relevant offerings starting the very first moment. I think not all users prefer redirection and the fact they can choose preferred webstore version lets me satisfy all visitors.